Currently Principal, Client Strategies Group, Marketing at Edward Jones, Tim Rea is responsible for all of marketing functions for the financial services giant including advertising, digital marketing, client and marketing insights, firm communications and public relations. In addition, he is a member of the Edward Jones Management Committee. 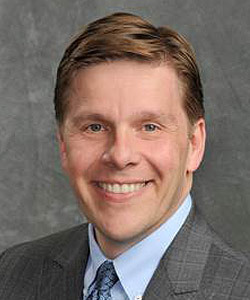 Before joining Edward Jones in 2016, Rea served as the executive vice president and chief marketing officer for Office Depot Inc., senior vice president of brand marketing for Darden Restaurants, and had increasing brand management leadership positions at Hershey Foods Inc. and the Procter & Gamble Co. Prior to working in the private sector, Rea served as a Captain in the United States Army. Rea earned a bachelor’s degree in economics from Harvard University and both a master’s in economics and an MPA from the University of Texas. The GRMA is a private exchange network open by invitation only to C-level executives in retail, restaurant, hospitality, financial and insurance services. The GRMA’s mission is to inspire and guide these executives in their careers and professional development by challenging them to think in new and different ways about the shifting consumer marketplace, the impact of technology and other variables impacting their business and their future. So excited that Tim has accepted this appointment. His retail experience coupled with his Financial experience and his passion for all things GRMA makes it just a stellar combination. Great things to come!